These cognitive exercises for stroke patients can help improve memory and problem-solving skills. While extra emphasis is often placed on physical recovery after stroke, cognitive recovery is also important. Today we’ll share 11 amazing cognitive exercises for stroke patients that will help sharpen your mind. Let’s start with a quick explanation of why these exercises are so important. Cognitive exercises help sharpen your memory and thinking by activating neuroplasticity. After stroke, the brain is capable of rewiring itself so that healthy parts of the brain “pick up the slack” from the damage. This happens through mental rewiring, where the brain forms new neural pathways to strengthen skills that you practice frequently. The more you practice these cognitive exercises, the more your memory and thinking will improve. You get better through practice! Now, let’s dig into the best cognitive exercises for stroke patients. Lumosity is a cognitive training app that contains over 60+ cognitive exercises. The app helps strengthen your brain’s cognitive skills through entertaining games that won’t let you get bored. Constant Therapy is an app specifically designed for stroke survivors. It contains various language and cognitive exercises to help you rewire your brain after stroke! Tacuts Therapy is also designed for stroke survivors, which extra emphasis on aphasia. Although it’s mostly used for improving speech after stroke, the exercises also help improve cognitive function. Aura is a meditation app that we recommend because meditation is seriously good for stroke recovery! Meditation has been shown to help improve attention, mental flexibility, and information processing, which are all important cognitive skills. We love Aura because it gives you a different guided meditation every day, which can help prevent the habit from getting stale. If you have any simple board games lying around the house, like checkers or Connect Four, they could serve as excellent cognitive training. Although these games are simple, they help stimulate the brain’s problem-solving skills. Games for the Brain has an abundance of online games for you to try. 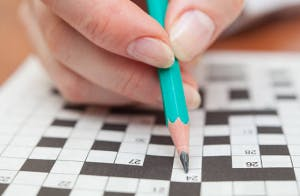 “Brain teaser” games like Sudoku, word searches, and crossword puzzles are excellent cognitive training games for stroke survivors. They can be quite challenging – sometimes even frustrating – but know that you will get better at them with practice. So even if you can only finish a little bit each time, just keep practicing. You will get better with practice. Speech therapy often incorporates cognitive training to help strengthen communication. A speech-language pathologist (SLP) can help you improve language difficulties after stroke. Although their primary focus is communication, they will also help with cognitive training because it’s closely tied with speech. Click here to search for SLP’s in your area. Did you know that music therapy helps improve cognitive function and attention span after stroke? This is because music engages different areas of the brain, which gives your brain a little workout. And best of all, you can just press play, sit back, and relax to experience these benefits. 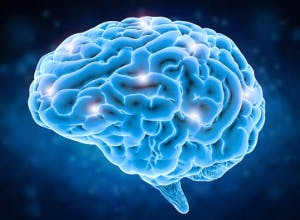 Did you know that the right side of your brain is associated with creativity, while the left side of your brain is more analytical? 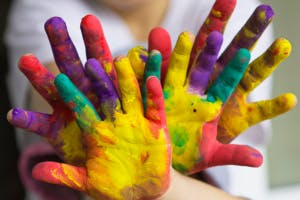 When you participate in creative activities, you engage the creative part of your brain. And when those activities involve your fine motor skills, like painting and pottery, it engages many different parts of your brain. That’s why some stroke survivors experience major cognitive improvement from “mindless” creative tasks like painting. Because it’s actually not mindless at all! Get Your Cognitive Training Going! Those are the best cognitive exercises for stroke patients. Choose the activity that appeals to you the most because staying engaged is key to long-term success. 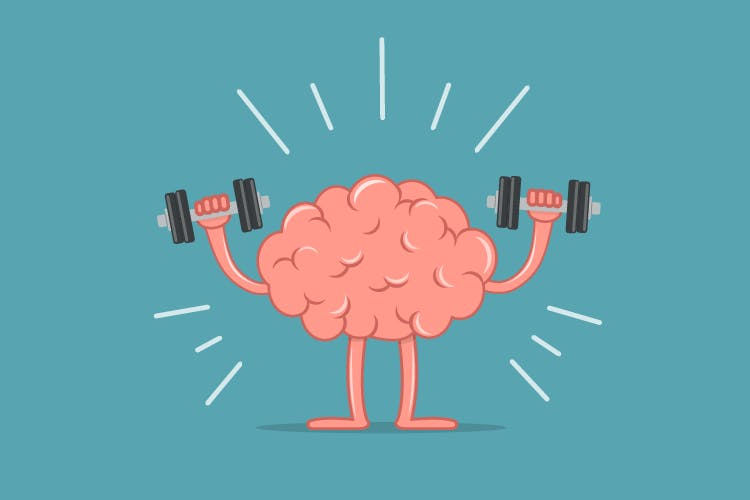 The more you practice your cognitive exercises, the more your memory and thinking will improve. What other cognitive training games do you like? Share your ideas with our community in the comments below!